Do you need a simple outdoor idea for a great activity you can do right in your local town or forested area this summer? 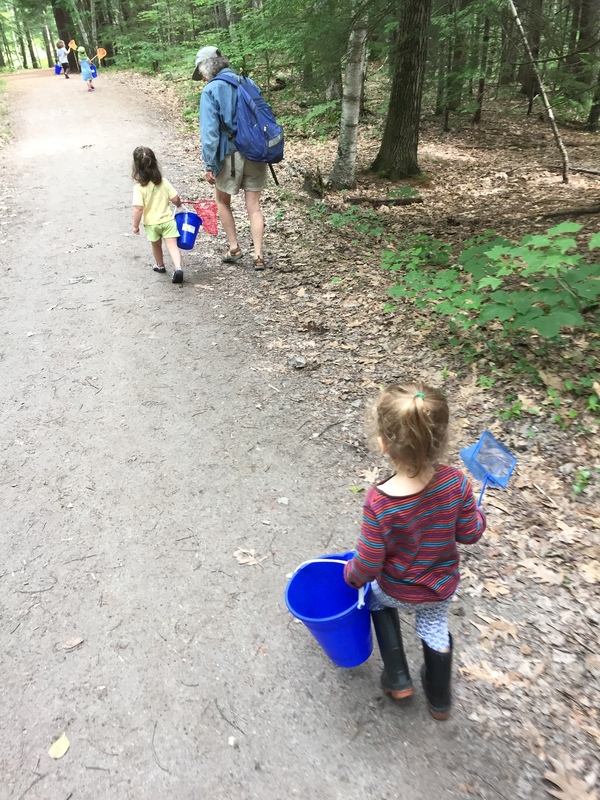 Find a small pond near home and your kids will spend hours of enjoyment outside with a net and a bucket exploring the world of wildlife that exists beneath the surface of a small pond. The summer is a perfect time to get adventurous and give ponding a try! All you really need for ponding is a net (fishnets work great) and a bucket. But speaking from experience teaching many science lessons catching and looking at aquatic invertebrates I can provide some tips for making the experience a little more successful. 1. Using a white bucket is very helpful for seeing what you have caught! The perfect ponding bucket is actually a white dishpan. 2. Catching technique: Encourage the kids to swish their net above the surface of the bottom of the pond back and forth quickly three or four times and then pick up their net and look for movement in the net. Pick out the insects and put them in the white bucket rather than dumping the net with all the leaves etc into the bucket. This allows you to see what you catch easier. Larval Dragonfly, Dobsonfly, and salamander sorted in a deviled egg dish from the local dollar store…a white paper underneath the dish helps you see the organisms. 4. After you catch into a big bucket get an white ice cube tray or deviled egg tray and use spoons to sort and count the types of animals you catch. 5. 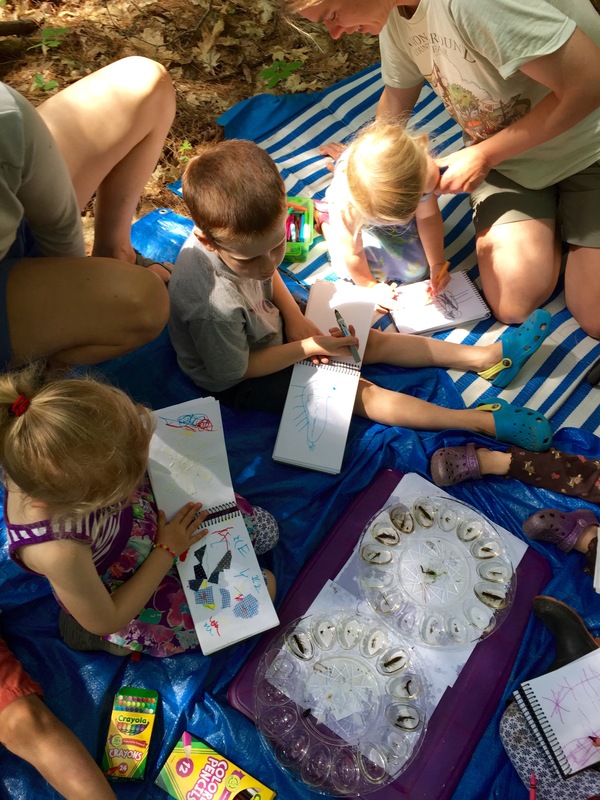 Art and Nature Connection: Encourage your kids to use their scientific observation skills and to draw their favorite pond animal after you catch-remind them in scientific drawing to be as accurate as possible! After sorting the organisms you can draw your favorite animal! 1. For a deeper exploration try ponding in the same place week after week (or every few weeks) as the spring turns to summer and through the summer. Encourage them to record their findings. It is a very cool experience to see how the pond life changes as the summer progresses. Encourage them to predict how they think the pond might change through the season in diversity and total numbers etc. Have them test their hypothesis by collecting data throughout the season and recording their observations in a nature journal. 2. 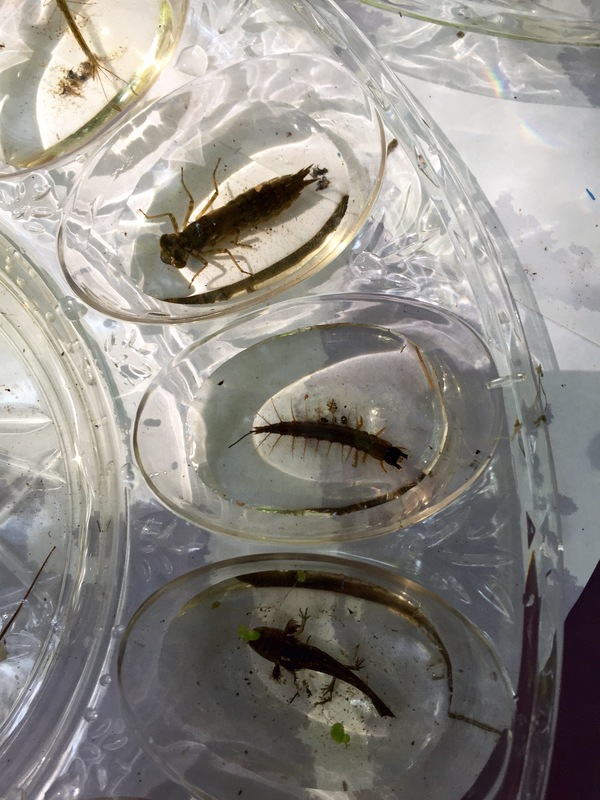 Also studying larval pond life gives you a perfect chance to learn about metamorphosis…show the kids pictures of the larval and then adult stages of the same insects or animals and discuss how they are similar and different and explore the term “life cycle”. Remember to remind your children to be respectful and careful with the living creatures they catch and to put them back when they are finished! Have fun exploring the pond this summer in your town or neighborhood!